I'm doing the 2016 Chicago Ragnar Relay!!!! 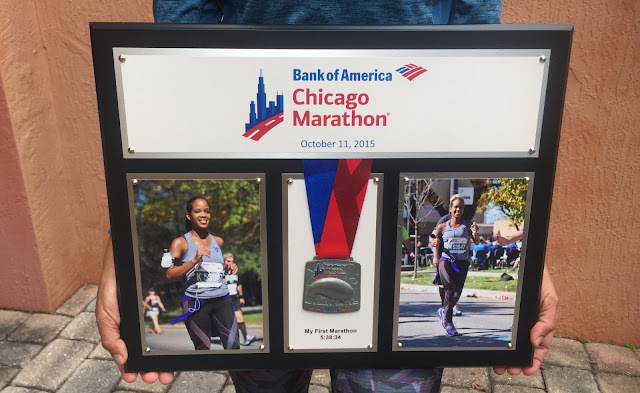 Then I tried to explain all the reasons why running was more than a "hobby" for me. She still didn't get it but that's ok because you know what? not everybody will. *This morning I decided to go to the gym instead of going running. I walked for a bit yesterday and I'm going to try and run tomorrow, so today I did the Stair climber and lower body weights. Trying to figure out the training plan for the rest of the year has been a challenge because I have to balance the "rest for 4-6 weeks" instructions from my orthopedic surgeon with the "I have two half marathons remaining for this year" reality. Plus I have a half in January so it's not like training stops after the Reggae half on December 5th. I'm trying to focus more on cross training and do shorter runs (if I feel like I have to run) so that I can keep my endurance up without overdoing it with high impact activities. However, in order for that plan to work I actually have to do the cross training right? Sadly I'm having an adverse reaction to getting out of bed and going to the gym at 3am to swim (or do anything). This morning I reset the alarm 5 times before I finally got up at 7am. It's starting to become a real problem. I am really really really going to try and get it together for this upcoming week. I already know my work schedule is going to be busy this week, so if I don't do my training activities in the morning they are probably not going to get done (and I just can't afford for that to happen). How has your week been? Any recent or upcoming races? Have you ever done the Color Run? Have you ever done a Ragnar Relay? 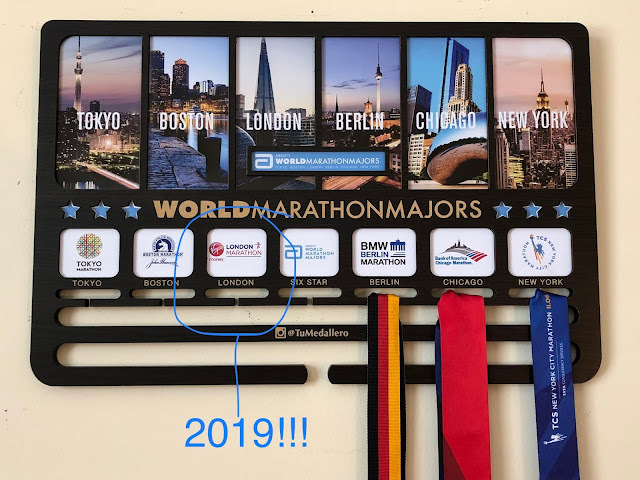 That is such a cool marathon plaque, the new decor looks really well! All my bling is tucked away in a box, but after seeing your picture maybe it's time to start hanging them on the wall. You should make a pact with yourself to try and run at least five of those races... I'm thinking of maybe doing the Berlin Half next year, and possibly a half in London.. I love your medal-wall! That is so inspiring! If 3am is too early and 7 too late...have you tried 4, 5, or 6? LOL! Try not to be too hard on yourself, it is clear you are doing AMAZING!